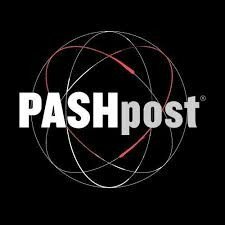 There Are Vintage Watches Hiding in Plain Site - PASHpost Inc. I found one once. Actually, I found a bunch of vintage watches, but there was only one I fell in love with. I was in a strange city, meandering around the charity and vintage shops because my chance of buying something from there was much higher than my chance of buying something from a high street shop. Why? Because you can find some crazy bargains for affordable prices as opposed to a garment that will fall to pieces after three washes. At the time, I was obsessed with long, rustic-style necklaces that would hang from my form each time I bent over my guitar. When entering a vintage shop, I have an order in which I check out the stock. First come the silk scarves (an essential accessory for a person trying to reignite the magic of sixties' folk Bohemia), then it's the hats. They are always flat caps and berets, but I like a good beret. And then, having saved the best 'til last, it's the jewelry. Always. This particular vintage shop was at the top of Great Western Road in the West End of Glasgow. It was my first time in the city, but the last of my three days there was all part of the big adventure. Glasgow's West End is the artsy part of the city and always worth a day or so wandering its streets, hidden lanes and parks. And apparently, also the vintage shops. I've noticed that you either win or lose when it comes to this. Either you walk into a place with tons of treasures - antique pocket watches, art deco necklaces (I found one of these), pearl earrings from the 40's - or there'll be a few plastic chokers from the 90's and a friendship bracelet. Every piece of jewelry - however loosely a definition that is when it comes to these places - means something. Every piece has a story, from the friendship bracelets to the vintage watches, and I wish I had the superpower of empathy to be able to take in everything that they have been through. 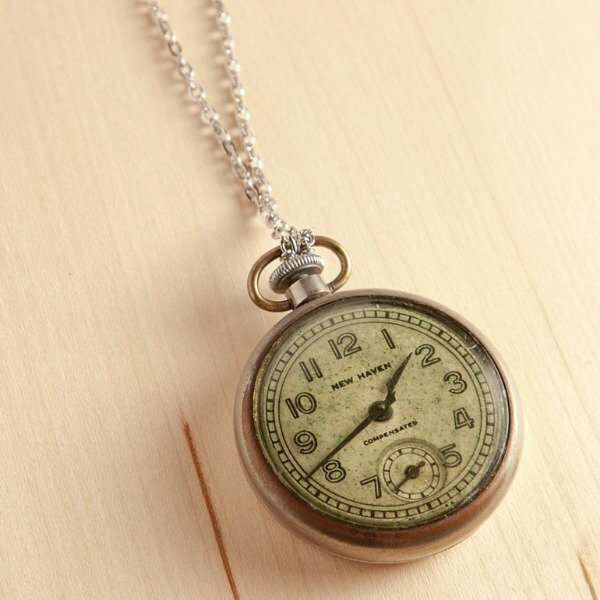 I would love to know the types of wrists that those vintage watches have dressed and what sort of gowns my special necklace got to accompany in the days between The Great War, the Depression, and WWII. 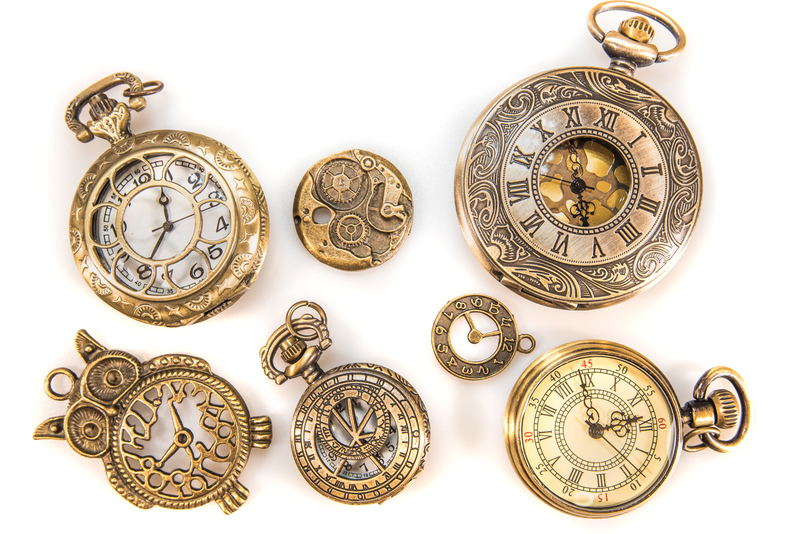 I'd like to know how many pockets the antique pocket watches have been on and what sort of outfit those embellished gold peacock brooches complimented. The only way to know this is to make up the stories, and so I do sometimes if I buy a piece. The title of this alone sounds like a Neil Gaiman title. I'm not ashamed to admit my story composition could never quite match up to his, but I am also not a fiction writer, and two of the best books of all time are diaries. (Anne Frank and Laura Palmer). It was a vintage watch on a necklace that I fell for. Jewelry has a way of alternating from year-to-year as far as metals go. Last year, rose gold was particularly huge. You could find it in stores all over cities all over the world. 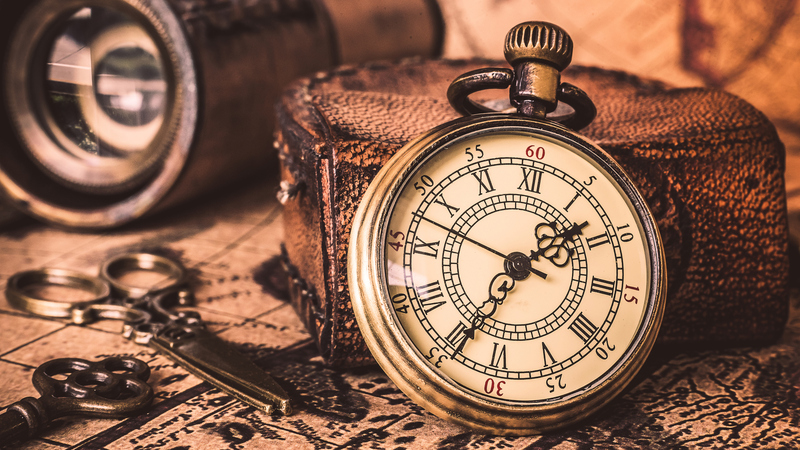 When I found my pocket watch, rustic brass was the big thing. I miss it. Brass matches my tone far better than rose gold, silver washes me out and gold is just a bit too, well, gold. I love rustic jewelry. It was the reason I ever bought my art deco necklace at all; not because I knew of its age or its value, but because it had the worn-away brassy look that Genie's lamps should have. It shows that a piece has lived. I am not a connoisseur of vintage watches. I am as much of a connoisseur of vintage watches as I'm able to write stories as well as Neil Gaiman. I'm just not. I'm the same way with jewelry as I am with the scarves and the hats that I trawl through: I like what looks good or that catches my eye. This little clock face that seemingly used to be part of a pocket watch and was now attached to a chain might not have been vintage. I see that a lot in those shops, as well. There are far too many fakes that I'm uncomfortable with, and it's not because they're "fake", it's mostly because they're in a vintage shop next to vintage watches and bracelets and they quite simply don't belong. Maybe if there was a sign that said, "not actually vintage but still pretty cool", they would gain more traction. Like I said, it's not the validity of a piece's age that attracts me and when it came to this necklace, it was the style. It goes right back to what I said at the beginning: I wanted necklaces that would look great hanging from me when I played my guitar and this one was perfect for that. It had a long chain and while the watch face was wrong, it still worked when I had the battery changed. And most importantly, it could hang over my guitar and tell me the time. I don't mean to cause discouragement. Far from it, actually. 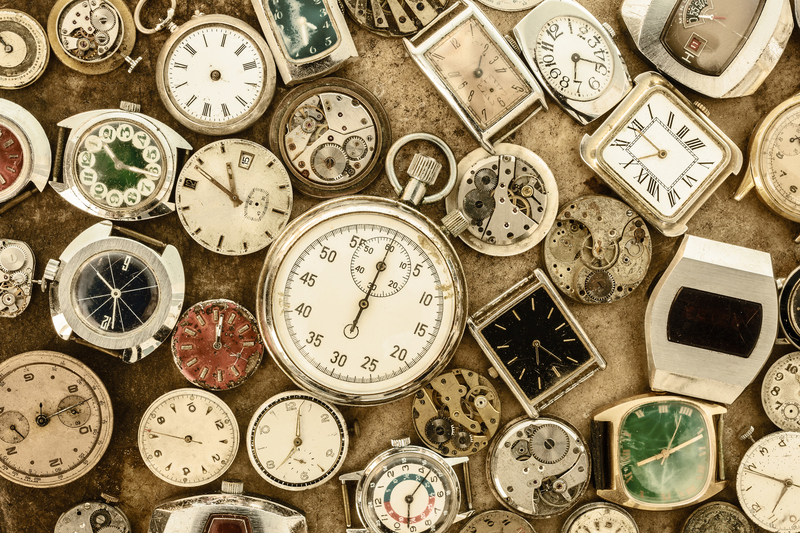 Not all of the luxury watches and vintage jewelry in vintage stores are real, but also, not all of the watches and jewelry in thrift stores or charity shops are cheap knock offs. There are vintage watches hiding in plain sight. Next time you're looking for a watch that works, walk by the branded jewelers whose main goal is to make a commission off of your loss of money and the cheaper ones supplied by clothing stores and look to stores where there are stories. Every piece of clothing, jewelry, vinyl record, and furniture in a charity shop came from someone's home. That someone is just as likely to have owned a beautiful piece of vintage jewelry as they are some plastic pearls.